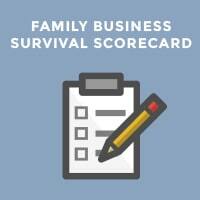 As a family business manager, ensuring open lines of communication is crucial in your family business. Poor communication can be the cause of many conflicts in any business. 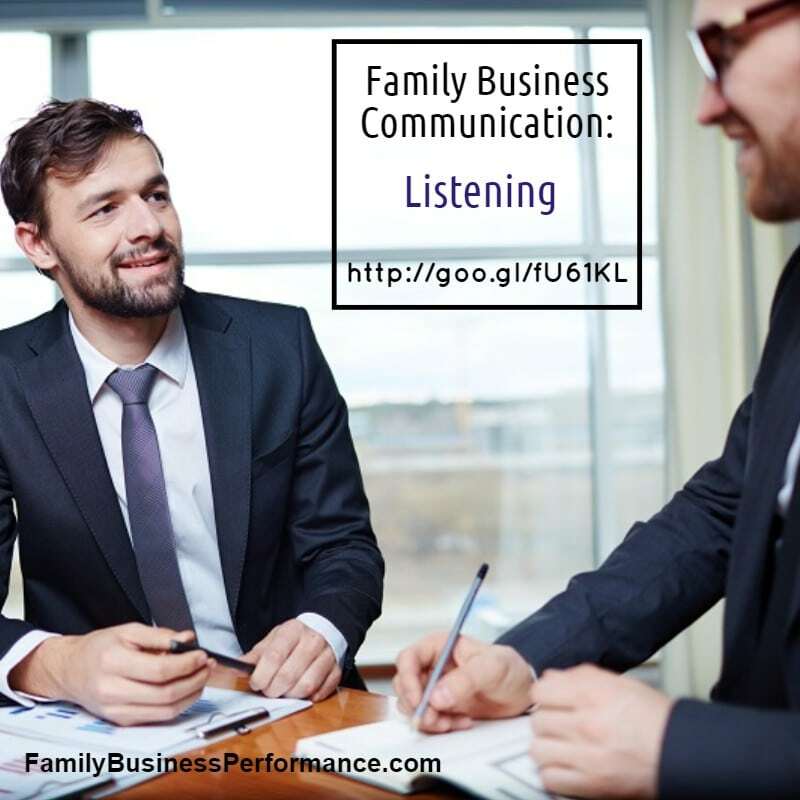 Listening is among the most crucial skills that you can learn to improve family business relationships. If you are able to really stop and listen to your family members, you will be able to pave the path to ongoing family business success. This will also stop conflicts in your family business before they become an issue because you see them before they raise they’re ugly head. Listening calls for paying attention and reacting to the needs and wants of the speaker. If you want to be a successful family business leader, you have to practice the art of active listening. This means being involved with your family members. It includes really spending time with them, exploring things that are significant to them, and being an authority in the things that matter to their role in the family business. Listening may (and ought to) occur everyplace. Here are some active listening skills. 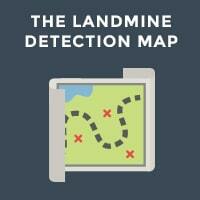 Check yourself to see if you are really listening to family members. You should be conducting family meetings where you can receive feedback and respond constructively to issues and concerns. But you must also just get out and talk to employees in the business whether they are family members or not. 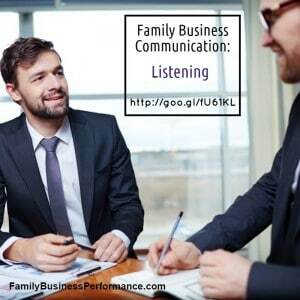 Active listening will help you to better comprehend and connect with your family members who have a role in the family business. It will make managing the business easier as you’ll be able to learn and foster better business communication and relationships. Becoming a great listener will likewise endear you to all family members you wish to reach. Everybody loves being listened to. So close that trap, put away that profit and loss sheet for a minute, and begin exploring the world of your family members. 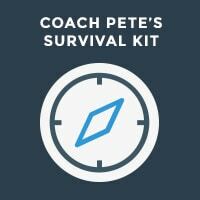 If you need help developing active listening skills or other family business management capabilities, please contact Coach Pete.